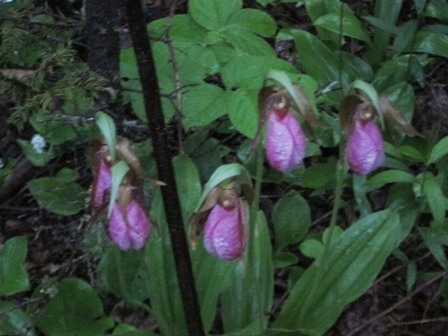 Visiting Ron last night and enjoyed the walk in the woods to see the lady slippers blooming. 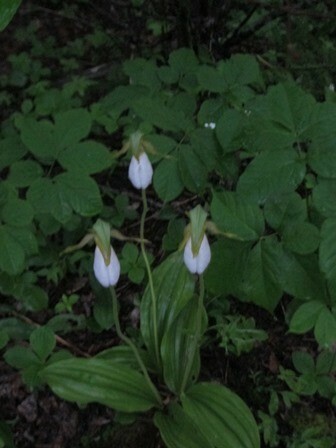 We came across a patch with dozens of them…white and pink. The light rain softened the forest sounds and the slippers loved it. 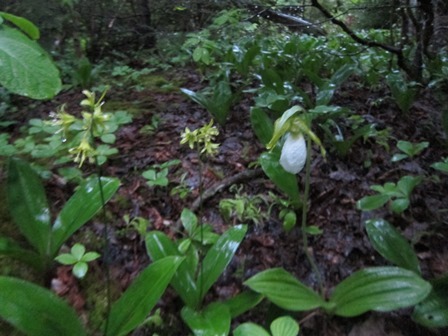 So did the trout lilies. Very nice to see them. What a Great Day – this only happens once every 90 years.